While it may take no more than an hour or a dinner for some men to make their marriage proposal, popping the all-important question merits the same care and forethought as the selection of engagement rings. It is extremely important that this once-in-a-lifetime task be carried out at the right time, the right place, and in the right way. The best guide to determining these three things is the personality of the woman at whose feet this proposal will lie. As couples fall in love, they are bound to discover what the other likes and considers tender and loving. Some men have a problem with this because, by their own admission, they are not romantic. However, because a marriage proposal is a lifetime commitment, it deserves extra effort even from those who are not inclined to indulge in hearts and flowers. Most women are touched when the man in their lives remembers things about the first time they met. If your dream girl is the type who sets great store on when you met and how it happened, maybe you can pick up a clue from there. If you don’t remember when you met, or dates are blurred because you were friends for a long time before you fell in love, you might want to look for other options. For example, some women collect specific bric-a-brac, such as figurines of pigs, rabbits, frogs, bells, and mugs. Maybe you can think of using her favorite knick-knack as a container for your diamond ring. People belong to different personality types. The things that please a person of a particular type may be totally distasteful to a person belonging to another type. For example, an outgoing person who loves crowds, music and dancing may want more than a simple declaration of love, even if it is made on bended knee. Knowing the personality type of your girlfriend can help you make the best marriage proposal possible. To find out a bit more about her personality type, try introducing a quick personality test and lure her into taking it by introducing it as a game of sorts. The Duty Fulfiller. They are generally quiet, serious, and value peaceful living above all things. They are focused people, and they like to honor tradition. A motorcade with clowns popping balloons is probably not the best way to propose to your girlfriend if she is a Duty Fulfiller. The Mechanic. Like Duty Fulfillers, they are quiet people. They like to see how things work and with strong mechanical skills. Most Mechanics are risk-takers who excel in extreme sports. A woman with a Mechanic personality might fall in love all over again if you propose while up on a suspended cable car. The Nurturer. They are conscientious, unselfish, and dependable. They are practical and stable. They have keen powers of observation, and are sensitive to the feelings of others. Because Nurturers are always taking care of others, they may find it touching to find out that this time around, someone else wants to take care of them. The Artist. They are usually kind, serious, and sensitive. They dislike conflict and are not likely to do anything that will rock the boat. Because of their appreciation for the aesthetic side of things, try to create an atmosphere where beauty reigns when you make your proposal to a woman who is an Artist. The Idealist.If your girlfriend falls under this category, she is quiet, reflective, willing to serve humanity, and lives according to her principles. Idealists are usually mentally quick, and they understand other people well. If you have the good fortune to be in love with an Idealist, the effort you expend in proposing means more than being treated to a proposal extravaganza. The Scientist.These women are determined, logical, analytical, and can see the relationship between theory and application. They are competent, long-range planners who usually adhere to high standards of performance. If you are in a relationship with this type of woman, find out what she wants by talking about engagements and proposals made by famous people. Her reactions will give you a clue about what she considers romantic. The Doer. They are friendly, action-oriented people who go after getting the best results. They are not afraid to take risks and are bound to live fast-paced lives because they want to get everything done and see everything there is to see. If your girlfriend is a Doer, try something out of the ordinary because that suits her very well. The Guardian. People with this personality are organized, practical, and active. Loyal and hardworking, they like to be in charge of running things. Guardians place great importance on peaceful living and security. So make sure your proposal echoes these two qualities. The Performer. If your girlfriend is fun loving who finds pleasure just by her zest for everything, chances are she is a performer. Performers dislike theory and fruitless analysis. They love new experiences and are likely to draw people to themselves during social situations. You can go for the unconventional when you propose to a Performer. The Giver. They have excellent people skills and they do very well when asked to manage people issues. Givers lead group discussions and collective tasks very skillfully because they have genuine concern for others. If your girl is a Giver, chances are she is very popular, and you won’t have a hard time orchestrating something special with the help of her friends. The whole world loves a lover, and every time a truly romantic or extraordinary marriage proposal becomes public, everyone smiles. 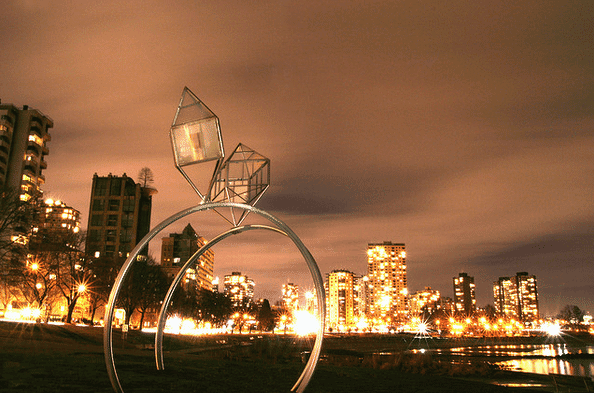 There are countless videos and blogs about amazing marriage proposals, and a lot can be learned from their panache and creativity. One man managed to get a whole busload of commuters to cooperate when he popped the question, while another organized a mass sing-along in Piccadilly Circus during a date. Another man hired an actor to dress up as a cop and arrest his girlfriend for stealing someone’s valuable property, which was, of course, the hero’s heart. Asking people from law enforcement for help seems to be quite a popular method to add an element of surprise to a marriage proposal. Once you have given serious thought to her personality and the type of proposal she will appreciate, you can decide on when, where, and how you will propose. Plan the details carefully, and let your friends help you execute the plan. If you have come to a point in your relationship where you want to pop the question, you are probably confident that she will say yes. The actual asking will merely be icing on the cake for you, but it is a chance to build a memory that can last a lifetime. 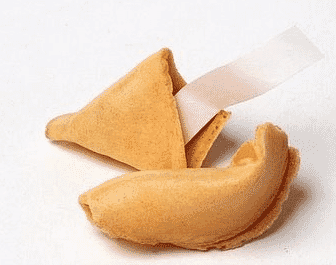 One man narrates how the waiter in the Chinese restaurant he connived to serve a fortune cookie with the question, “Will you marry me?” mistakenly served it to his girlfriend (now his wife) rather than to him. She opened and read the line aloud to which he shouted a “Yes!” Although this was not the way his script originally ran, it turned out to be a happy detour. To this day, he likes to tease her that it was she who proposed to him. Relax and be happy as you put the nuts and bolts of your big event together. It is understandable that you want everything to be perfect. A wise man once said, “Don’t sweat the small stuff.” Even if some glitch comes up on the big day, don’t let it ruin the occasion. Indeed, sometimes the tiny imperfections can make your proposal more unique than you originally planned for. When these imperfections occur in the shelter of love, they will actually give you lovely stories to share with your grandchildren.